What is the thing that motivates you to plan a drive to a far-off land? The thrill of the drive? A passion to meet new people and learn new cultures? A chance to taste new delicacies? For me, it is all of this. Every journey excites me right from the planning phase to an extent that I lose myself at times. So, when I started planning the famed ‘Hornbill Festival’ it was quite hard for me to contain my excitement levels! Let me recount my wonderful experience in this magical land. We, a group of three friends, started our journey from Kanyakumari, the southern tip of India. A journey from the southern tip to the eastern tip of India which was so thoroughly exciting! We took our time and explored the states on the way. All the states, Tamil Nadu, Andhra Pradesh, Orissa, and West Bengal, had their unique way of welcoming tourists. What I enjoyed the most was the local roadside food, small unassuming shops served the yummiest food. The foodie inside me was mad with joy. The cultural diversity of India was another aspect that could not escape one’s attention. From the lungi-clad simple folks of the South to dhoti-clad joyous people of Calcutta, there is so much diversity in India! Also known as the Gateway to Nagaland, Dimapur was where we spent our first day in Nagaland. Dimapur is the largest city in Nagaland, though not its capital. The local markets in Dimapur were so lively, narrow alleys lined with small shops on both sides, it was another world! I was fascinated by the traditional shawls of Naga tribes and the colorful markets and cheerful smiles won my heart. Kachari Kingdom Ruins was another halt for us. 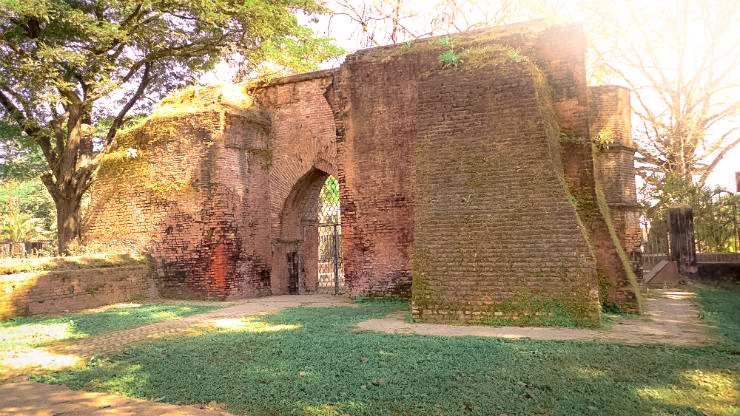 This was the seat of Kachari kings who ruled the place in the past. What remains now is a collection of dome-shaped pillars spread over a vast area. How the quaintly charming place captivated me! 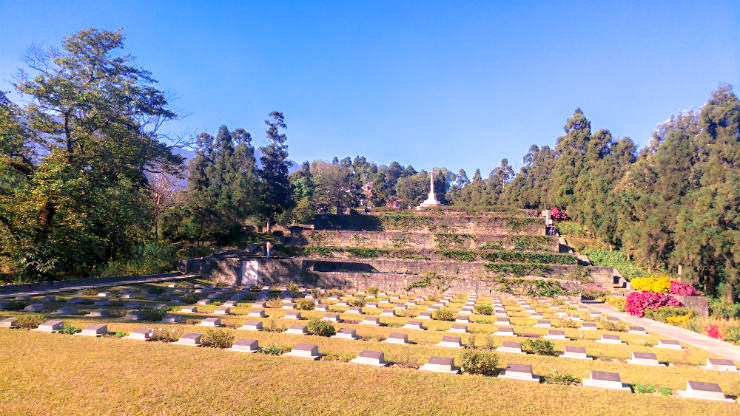 Kohima, the capital of Nagaland, was our next stopover. The War Memorial, a monument built in memory of the soldiers who lost their lives in the Second World War, was a place that touched my soul. It was a British camp in the days of the war, which was later converted into a Memorial. A place to remember all the brave souls who sacrificed themselves so that others could live in peace! From Kohima, Kisama Heritage Village where the Festival was being held, was just 16 km away. By then, I had totally lost my heart to Nagaland. The winding roads, greenery on both sides, astounding hills and valleys, it was like stepping into heaven. Well, there are some things that you can only experience, not express. Hornbill Festival was one of such things. The lively, festive vibes that I got from the place was too priceless. Music, dance, games, and what not? The name Hornbill is slightly misleading, though. One would think that it is about birds and animals. No, Hornbill is a bird that is closely tied to the cultural past of Nagaland. It has a place in all the folklores of Nagas, and this is the reason why the festival is named so. Nagaland, as most of you might know, is home to several tribes. In fact, there are sixteen different tribes here. And Hornbill Festival is the gathering of these tribes, where they display their unique culture, before an enthusiastic audience. The tribal people were a boisterous crowd with colorful traditional costumes, something I had never seen before. What I loved most about the tribals was, how they celebrated every event in life. Whether it was a war, a victory, or a feast, they had songs and dances for each occasion. I explored every nook and corner of Kisama. There were several peculiarly decorated huts, each belonging to a different tribe. We were allowed to enter the huts and even taste their delicacies. Speaking of delicacies, what a different kind of cuisine it was! The popular belief about people of Nagaland is that they eat only dog meat, worms, and such stuff. Of course, they do. But they have other dishes also, like maize, rice beer, and really hot chilies! My experience in the Hornbill Festival was so thrilling that I can still feel the happiness in my nerves. And I can still hear Nagaland beckoning me for another visit. So you are done with the regular tourist haunts. You have an ache in your heart to explore something new, maybe trotting to some offbeat places. Nagaland, located on the eastern end of India, has to be one of those places you have in mind. Visiting Nagaland around the time of Hornbill Festival will add more spice and fun to your vacation. Need more convincing reasons? Here they are. Northeastern part of India is blessed with unparalleled natural beauty. But it is still largely unexplored by tourists. Nagaland, one of the seven sisters of northeast India, is the perfect place to come close to this heavenly bliss. 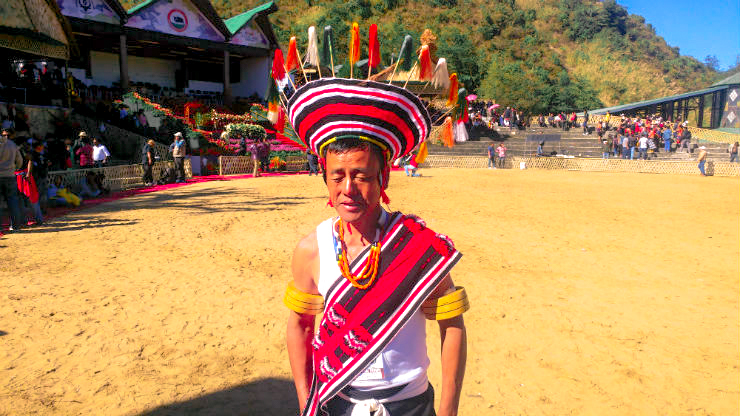 Hornbill Festival is held in Kisama Heritage Village, near Kohima. The venue itself is so beautiful, you feel like falling into the lap of nature. Surrounded by majestic hills and valleys, Kisama is a visual treat for tourists. You will not find air-conditioned areas here, just open-air venues and plenty of fresh mountain air. Hornbill Festival- the name creates curiosity in inquisitive minds. The first thing that attracts many wandering loners is the unique name of the festival. A festival named after the regal bird hornbill has to have some reality to it. Very true. The festival is a rich amalgamation of tribal cultures of Nagaland. Hornbill is a bird which is closely tied to the folklores of Nagaland. Feathers of hornbill used to adorn the headgears of Naga warriors in olden days. Though the bird is facing threats of extinction, the festival started in its name has achieved tremendous success. Nagaland is a state populated mostly by tribals. 16 different tribal sects reside here peacefully while preserving their distinct cultures. Each tribe is different from others in the matter of dressing, customs, and even language. Though English is the official language of Nagaland, each tribe has a different tribal dialect. At the Hornbill Festival, all of them come together to display their traditional performances. What better place to learn about the life of tribals? They are friendly folks, so you can interact with them and learn about their customs and past. Hear it from the horse’s mouth, they say. Love to shake your feet to the accompaniment of rhythmic music? Hornbill Festival can entice you if your answer is yes. This is not just about the blast of electronic instruments. Rustic tunes, rhythmic beating of drums, lively dancers who sway to the tunes, you feel charged up by the atmosphere. War dances, sacrificial rituals, and farewell songs capture your attention. Once you are in Kisama, you cannot resist the ocean’s energy pull. Every corner of India has its own culinary habits. From Kashmir to Kanyakumari, we find variety in every dish on the platter. But in northeastern states, you will find things which are hard to find elsewhere. While some of the items like dog meat may not find favor with all, there are certainly enough things to tempt the foodie in you. When you are in Kisama for the festival, it is a sin not to try the traditional Naga meal with sticky rice, bamboo shoots, and rice beer. Warmth and hospitality of the friendly hosts will only add to your hunger. Hornbill Festival, being a cultural extravaganza, has a lot of exceptional games on the offer. From archery and wrestling to beauty pageants, it is a medley of all kinds of games and competitions. Most of which you won’t find anywhere else, like the chilly eating competition and pork eating competition. It may not be in your nerves to gobble up super-hot Naga chilies. However, it will be a lot of fun watching others do it. What is the end result of attending a festival? Yes, you need to have your bag filled with curios from the place. And in the Hornbill Festival, there is enough scope for this. This is the place to buy all indigenous Naga items, from tribal costumes to Naga shawls and paintings. Unique handicraft items made of bamboo are a must-add to your bags. Well, how about donning a replica of Naga warrior’s headgear while going back home then? That will be a sure-shot head turner. Whether it is tribal art, feasting, or simple enjoyment of nature that you have in mind, attending a Hornbill Festival will be a once-in-lifetime experience for you. So gear up for the coming festival in 2018. 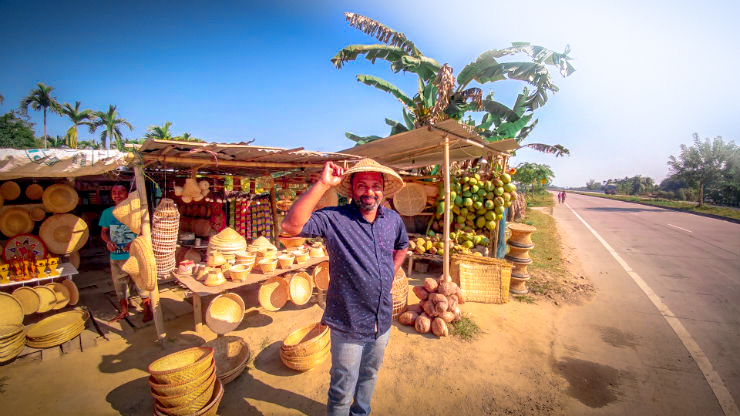 Traveling like a gypsy, E Jey loves to live a nomadic life exploring the flavors and shades of the world. Although most of his travels are sort of solo expeditions, he often loves to try shorter safaris with his family too. His travel blog and his YouTube channel have already captured the attention of several travel enthusiasts.